Women's Front Tees: 69.2/123 5250 yds. Men's Middle Tees: 68.9/136 5851 yds. Women's Middle Tees: 74.2/134 5851 yds. Back Tees: 71.3/141 6373 yds. Championship Tees: 73.7/146 6897 yds. Holes 1-9, Par 36, 3405 yards. "Coff" was first played in Holland in the 13th century, along roadways and canals. The first golf course in America was built by Dutch settlers outside of Manhattan. 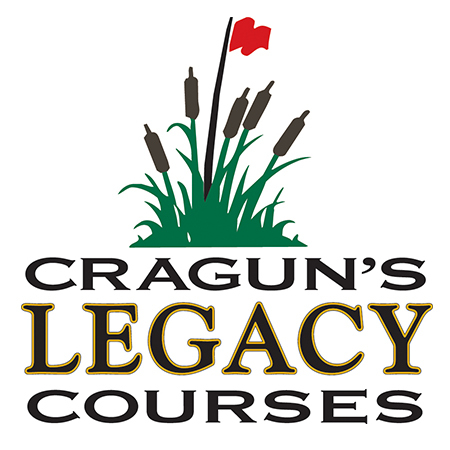 With this history, we built our first 18 holes and established a Legacy of great golf. Golf Guide Minnesota rated these holes as the "best nine holes of golf in the state". The front 9 features a blend of par 3s, par 4s and par 5s. Multiple tee complexes make the course eminently payable for each level golfer, keeping it interestingly fun and different each time it's played. Holes 10-18, Par 36, 3,465 yards. By winding 8 of 9 holes among wetlands and marshes, the back 9 is designed to capture the beauty of the preserved wetlands and woods. It is dedicated to the proposition that a championship course can challenge a player both mentally and physically, yet still be friendly to all levels of golfers. It draws out the thinker in every player.